OAKLAND, Calif. (KGO) -- A special meeting was held Wednesday night in Oakland to discuss what many are calling a crisis. The soaring price of rental housing is now outpacing San Francisco. Latifa Lewis says her landlord let her dilapidated apartment unit fall apart until it was labeled uninhabitable by the city of Oakland. Now she's being forced move to Stockton. "I'm being forced out," said Lewis. "They basically wanted all of the tenants out so they could remodel to charge more rent." It's one of many similar stories that were told at Oakland's special meeting on the city's affordable housing crisis. "For many of us natives of Oakland, we feel like we're under attack in our own city," said resident Mike Hutchinson. According to Zillow, the median rent in Oakland is $2,650 a month, with 70 percent of a resident's income going toward housing. 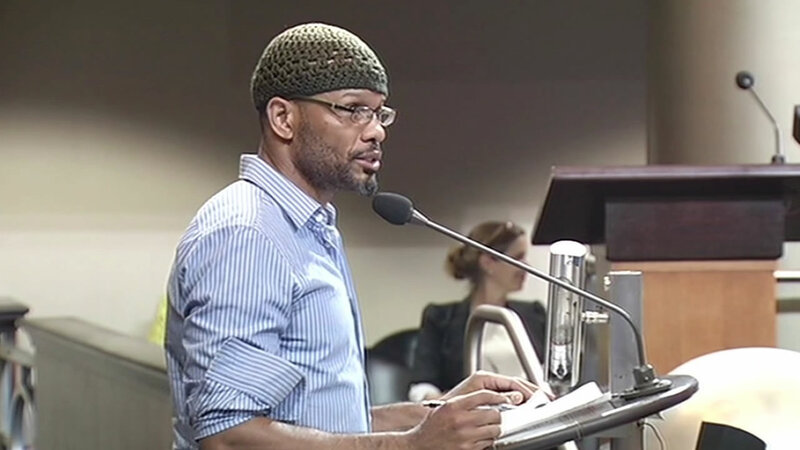 "I'm proposing that we strengthen rental control laws even beyond what has already been done, and provide protections for long-term renters," said Oakland resident Senai Kidane. Last week, Uber announced it's taking over the downtown Sears building. Now many fear they'll be pushed out by new and more expensive housing for Uber employees. "If we're serious we need to at this meeting, not just talk about the housing crisis, we need to move forward on the housing crisis," said Oakland City Councilmember Desley Brooks. With Oakland's housing equity roadmap in motion the city council can begin detailing its protections for tenants and its plan for more affordable housing. It could also include impact fees on developers to help pay for it.